Sorting holiday presents for it's Toys for Local Children campaign. 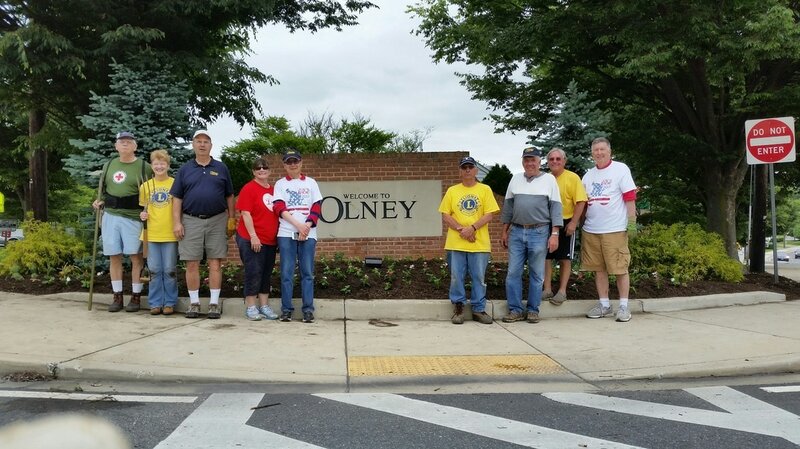 ​The Olney Lions Club (OLC) has been serving the greater Olney community since 1972. The OLC provides needed assistance to organizations and individuals in the Olney area while maintaining a collegial atmosphere where the men and women who are members of our club can meet their neighbors and establish new friendships as they serve their community. The results of OLC work are magnified as it helps support Lions Clubs International, the world's largest service organization with more than 46,000 clubs in over 200 countries. 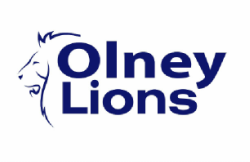 Being a member of the Olney Lions team is a win-win proposition. The greater Olney community benefits directly from the work we do and the assistance we provide. 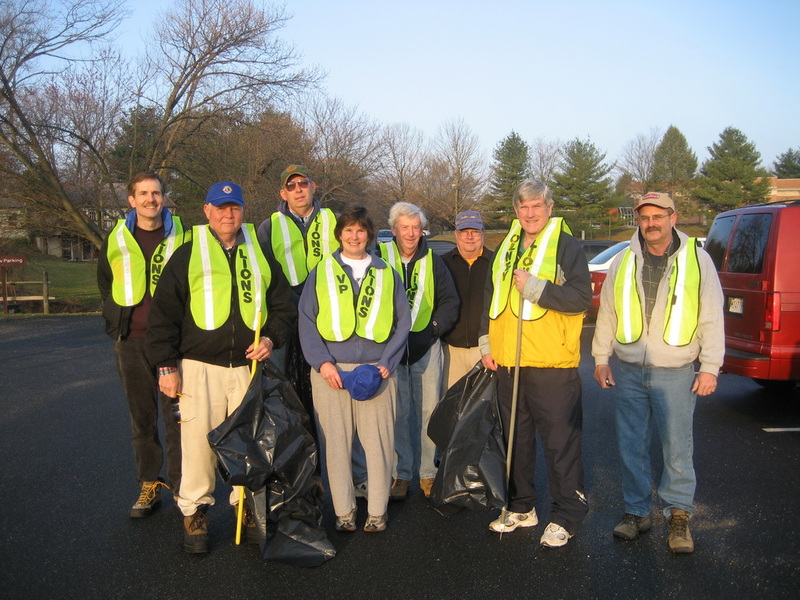 At the same time, each Olney Lion gets the personal satisfaction of knowing that he or she has contributed to improving Olney and helping their neighbors. Imagine seeing the joy on the faces of children at Christmas receiving toys and gifts you provided; hearing the profound thanks of a parent whose vision impaired child has received the gift of an examination and eyeglasses; replacing the roof on the home of an Olney resident who could not afford to have it done; hearing the laughter and seeing the smiles of the youngsters at Lions Camp Merrick, the Lions’ summer camp in Charles County, Maryland or for children with diabetes and visual and hearing impairments .That’s the sound of joy! 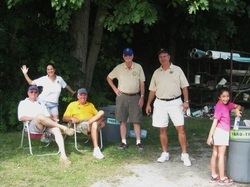 The Olney Lions Club is a very social organization where you get together with your friends and make new friends. At monthly meetings, our members meet for dinner and conversation and listen to a short presentation on a topic of local interest. The OLC also holds an annual Holiday Party, a June dinner, and a Summer Picnic. However, the best way to enjoy the company of your fellow members is by working at various club events and serving on organizing committees for our fund raising activities. have time available and less actively when they are busy. Our club assists the Olney community in numerous ways. We provide direct financial assistance to more than 20 charitable organizations and assist numerous other organizations with their charitble events. The OLC has responsibility for maintaining part of Georgia Avenue in the Adopt-A-Highway program and participates in the Rebuilding Together program. 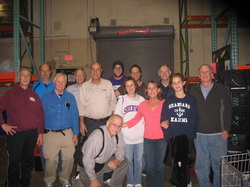 Every other month, members pack food boxes for distribution by MANNA. We also provide eye and ear testing at several Olney events. Click here to see a list of organizations supported by the OLC. We continually try to be aware of the needs of our community and address those needs. The club collects old eye glasses for redistribution, if you have any, they can be dropped of at Olney Opticians in Olney. The club will also provide an eye checkup and glasses to needy students in the Olney area. If a student wishes to see if he/she qualifies, contact us using our email address below. 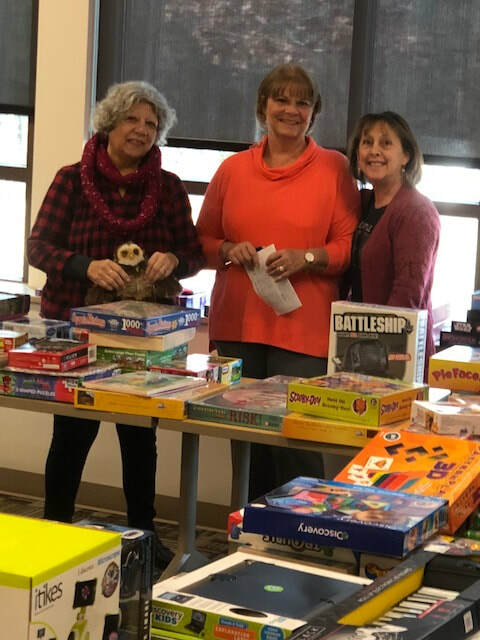 The Olney Lions Club runs the Toys for Local Children program which provides toys for children ages toddler to preteen for organizations or families in need during the holidays. The club also provides medical equipment such as wheel chairs, walkers, etc. for people who request them. Contact us via the email address below if you need medical equipment or have some to donate. As a member of Lions Clubs International (LCI), the club assists people stricken by disasters both in the US and world wide and support such efforts as providing seeing eye and service dogs to thousands of people each year. The LCI was founded in 1917 and is best known for helping the blind and those with visual problems, but has since significantly broadened it's scope to include activities that the local clubs deem appropriate. In short, as the Lions motto says "We Serve!" The Olney Lions Club raises money for it's charitable work through two major fund raising events: our Pancake and Sausage Breakfast held in February in conjunction with the the Knights of Columbus, and our Olney Open Golf Tournament held in September. 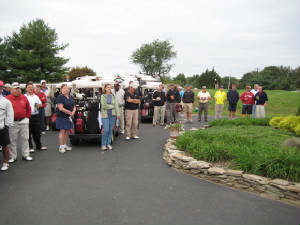 In addition to proceeds from direct sales from each event, more than 75 local merchants and professionals help by sponsoring the Breakfast and Golf Tournament. All proceeds from these events go toward supporting our charitable endeavors. If you are looking for a way to serve your community in an organization comprised of your neighbors working on a volunteer schedule you determine, please join us as a guest at one of our monthly Tuesday dinner meetings (2nd Tuesday of each month) at the Montgomery Country Club. Joining the Olney Lions is not an expensive undertaking. There is a one time initiation fee of $50 and a yearly fee of $86. For more information, please contact olneylionsmdmail@gmail.com. 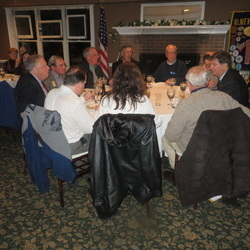 To keep current with club events, Like the Olney Lions Club page on Facebook or go to https://www.facebook.com/olneylions .